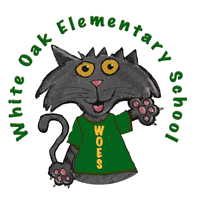 Welcome to White Oak Elementary! 3rd through 4th grade will be participating in NC Check-In assessments throughout the school year. Please note the changes in the calendar below. We have been practicing Shelter in Place and Severe Weather drills in addition to our monthly fire drills. Click the corresponding links to familiarize yourself with these sounds for if you hear them while in our school. Safety first! Click here to access our school facebook page. 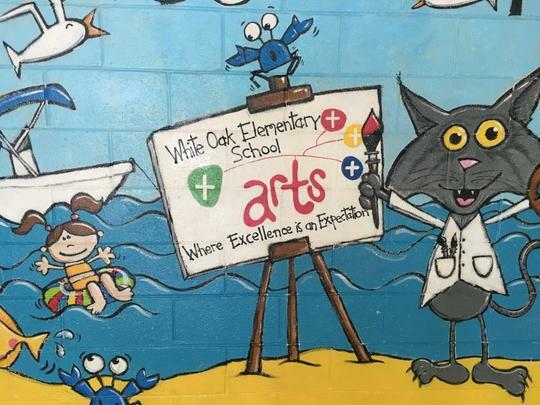 The Mission of White Oak Elementary School is to develop strong mind, body, and character through challenging learning opportunities and community involvement inspiring globally responsible citizens.